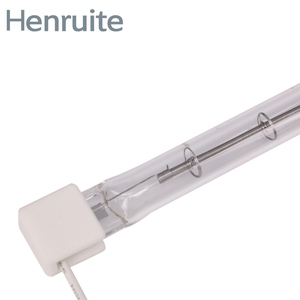 Using transparent quartz single tube as a sleeve,saving space and convenient installation. 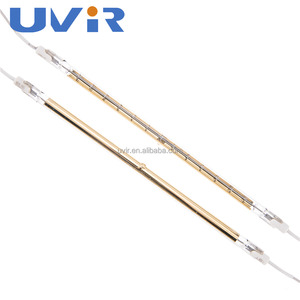 In order to improve reflection efficiency,we can make half gold plated or coated white processing for the quartz lamp. 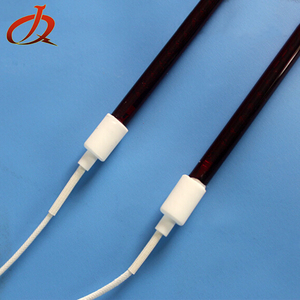 Quartz short wave single tube heating lamp can be made with transparent,frosted or red quartz tube. Please send me the infrared lamp size and drawing. 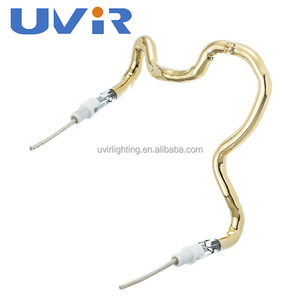 All lamps are made to our specification and perform just like the OEM lamp or better. 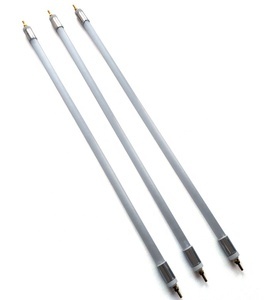 We stand behind our products and offer the same warranty as the original lamps. 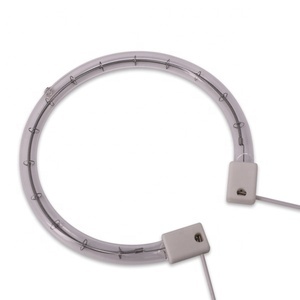 Best selling good reputation halogen oven lamp, low price halogen lamp Our factory is specialized in making various halogen lamps. Lamp Code Voltage (V) Wattage (W) Filament support Base Diameter D (mm) Lumen (lm) Energy Consumption J-78 / 60W 120/130/230/240 60 Re-inforced R7s 8 840 D J-78 / 75W 120/130/230/240 75 Re-inforced R7s 8 1050 D J-78 / 100W 120/130/230/240 100 Re-inforced R7s 8 1650 D J-78 / 150W 120/130/230/240 150 Re-inforced R7s 8 2600 D J-78 / 200W 120/130/230/240 200 Re-inforced R7s 8 3200 D J-78 / 250W 120/130/230/240 250 Re-inforced R7s 8 4000 D J-118 / 100W 120/130/230/240 100 Re-inforced R7s 8 1650 D J-118/ 150W 120/130/230/240 150 Re-inforced R7s 8 2600 D J-118/ 200W 120/130/230/240 200 standard R7s 8 3200 D J-118/ 300W 120/130/230/240 300 standard R7s 8 5000 D J-118/ 500W 120/130/230/240 500 standard R7s 10 9500 D J-189/ 750W 230/240 750 standard R7s 10 16500 D J-189/1000W 230/240 1000 standard R7s 10 22000 D J-254/1000W 230/240 1000 standard R7s 10 22000 D J-254/1500W 230/240 1500 standard R7s 10 33000 D J-333/2000W 230/240 2000 standard R7s 10 44000 D J-333/2000W 230/240 2000 standard FA4 10 44000 D Product show Survive by quality, profit by management, development by creation. 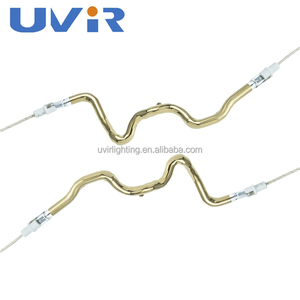 wave infrared heating tube with 2500w 1. Highlights: - FIR therapeutic function - Energy Saving with electricity-heat transformation rate reaching 98% - Environmental protecting and safe with dim light and no UV radiation - Above 8, 000 hours of serving life 2. Technical Parameters: - VOLT: 100, 110, 120, 220, 230, 240V - WATT: 50-2500W - HZ: 50-60 HZ - Electricity saving ratio: 30% - Infrared normal direction radiant ratio: over 94% - Electric heat transformation ratio: over 98% - Operating temperature: less than 1800C - Highest heat temperature endured: 1100C - Color temperature: 700-1500C - Surface temperature: 500-900C - Continuous servicing hour: over 8, 000H 3. 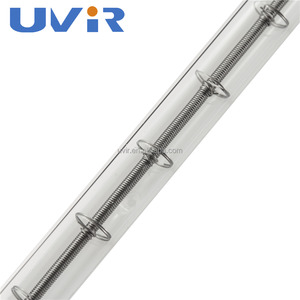 Application Area: - Health care & heating apparatus - Drying equipment - Cooking device - Medical equipment - Fry & baking equipment - Brewage & fermentation installation - Sterilizing device We can also design and produce infrared quartz heating tubes according to the needs of customers on operating voltage, power, size, length etc.